MT-FAST, the energy-saving hull fitting, has now been installed on 500 ships. Jointly developed by TSUNEISHI SHIPBUILDING Co., Ltd. (HQ: 1083 Tsuneishi, Numakuma-cho, Fukuyama, Hiroshima, Japan; President: Kenji Kawano; hereinafter, “TSUNEISHI SHIPBUILDING”) and MTI Co., Ltd. of the NYK Line Group, MT-FAST was first made available for mounting in May 2008. 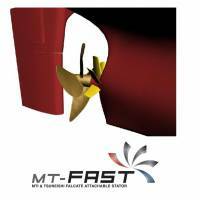 MT-FAST is a device that attaches multiple fins in front of the propeller to collect the lost energy that comes from rotational flow generated by propeller rotations, reducing fuel use by approximately 4%. As its versatility allows it to be mounted on both newly built and existing ships, MT-FAST has steadily built a record of installations, especially on ships constructed by TSUNEISHI SHIPBUILDING and bulk/container carriers operated by NYK Line and its group companies. 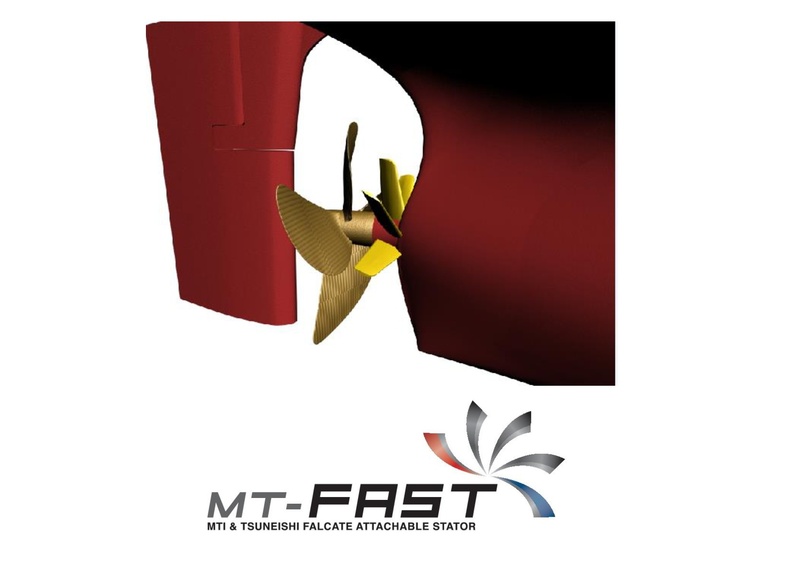 Amid a growing focus on environmental issues and expanding needs for ships with high environmental performance with increased fuel efficiency, MT-FAST has reduced fuel consumption by approximately 447,000 tons (*1) and CO2 emissions by approximately 1,341,000 tons (*2), contributing to the preservation of the global environment. Dedicated to next-generation shipbuilding, TSUNEISHI SHIPBUILDING will continue to pursue upgrades in fuel efficiency, environmental performance and other measures, and engage in new technology development that will help reduce environmental burdens and improve operation profitability. *1 The annual fuel-consumption reduction of all applicable ships was measured and used as a base to calculate the cumulative total value with consideration of the operational periods of each ship. *2 Calculated by taking the fuel-consumption reduction and multiplying it by 3 as the CO2 conversion factor. This coefficient is based on the Ministry of the Environment’s Guidelines on Accounting for Greenhouse Gas Emissions. ■　About MTI (Monohakobi Technology Institute) Co., Ltd.
MTI is engaged in technology research and development for the NYK Line Group in all logistics technology fields including ship operation, safety, environment, and energy conservation, and provides optimum solutions that meet objectives, including the reduction of environmental burdens. ■ About TSUNEISHI SHIPBUILDING Co., Ltd. Marking its 100th anniversary in 2017, TSUNEISHI SHIPBUILDING (Fukuyama, Hiroshima, Japan) is the anchor company of the TSUNEISHI Group, which mainly engages in shipbuilding and maritime transport. With manufacturing bases in Japan (Tsuneishi Factory, the HQ) and three overseas factories in the Philippines, China, and Paraguay, the company builds container carriers, tankers, cruise ship, 30,000-tonne to 180,000-tonne class bulk carriers, and other ships.